Winning at the Blas Awards has made significant business differences to our winners. They are our best ambassadors. For An Sean-Teach Ltd, a small company making small batch premium Irish gin and cream liqueur, getting a reply saying short listed was the beginning of a very interesting chapter in our book. It led to walking out with 4 awards, a badge on a bottle and a huge smile on the face! . Small may be beautiful but it also may be amazingly difficult. Any endorsements that can be had , must be bagged and let the promoters get a well earned pat on the back for the job well done. Blas na hEireann allowed us the opportunity to get into the spotlight for buyer’s to pick out. Quality is a given at short list stage, product and packaging must carry you across the line. The Blas na hEireann badge is an endorsement of the work done, not easily got,but a big deal when you have it ! A lot has changed for us since 2008, the inaugural year of Blas na hEireann when, as a very young company we came away with 1 Gold and 2 Silver awards. 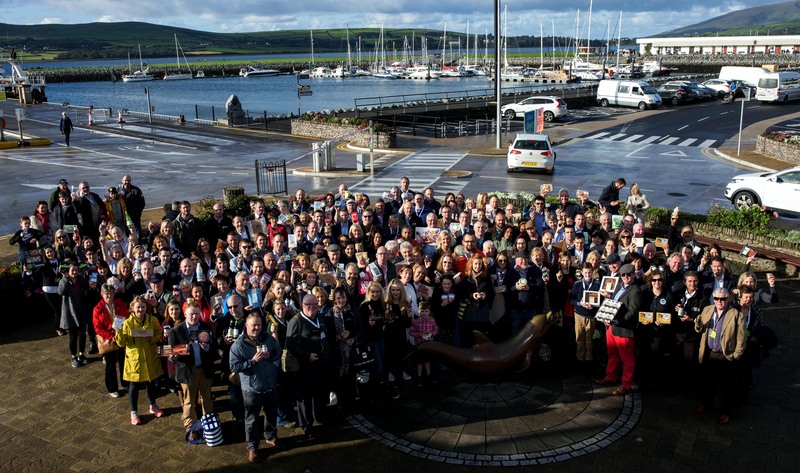 Without doubt, you cannot underestimate the value of the Blas October weekend in Dingle – the motivation, the inspiration, being measured against your peers, winning/losing, networking, becoming less ‘invisible’ in an ocean of other products. 2008 was our first. 7 years & 16 awards later, we now employ 18 people, sell nationwide at home and export to other countries. If we had not stepped up in 2008 and in the years that followed – would we be where we are now? I genuinely believe not. We are forever in Dingles debt. Winning the Blas Na hÉireann Best in County Award has meant a lot to myself and Tom, it means recognition for all of our hard work over the years for ourselves and all the team at Wexford Home Preserves. We know that when our customers see the Blas Na hEireann Best in County badge on our preserves they associate this with Irish, quality and artisan. We feel very proud to have the Blas Na hÉireann logo on our products. Winning at Blas na hEireann, the biggest and most prestigious blind tasting & awards in the country, has been very important to our business as it demonstrates to potential customers that our products are of a certain standard. We constantly use it in our marketing material when telling our story. Winning the Best in County Award in 2015 has also been fantastic for us as it firmly puts us on the food map in Galway. A Blas na hEireann Award is a fantastic achievement for any business lucky enough to receive, it will open doors and bring a whole new batch of foodie lovers straight to your door to feast on your product. It endorses your product and places it in the highest point possible within the retail market. You cannot put a price on this award as year on year the foodie lover and retailers will hunt for the best products and producers in the country by the roll of Honours be-stode by Blas na hEireann. After winning Supreme Champion 2013 and Best in Farmers market 2015 my customers come looking for me and beat a path to my stand where ever I am . They keep coming back to see what new products are coming on stream and love to support local artisan producers. 2014 – “We were absolutely delighted to win a Gold award for our Lemon Drizzle Cake Mix at the 2014 awards. “Having won 7 (3 of those gold medals) Blás na hEireann awards since 2012 has provided a fantastic boost to our family run bakery, which has been extremely welcome considering the very difficult business environment over the last number of years – particularly for companies based in and dependent on rural Ireland. Today’s supermarket shelves are very crowded with so many products making many marketing claims. In our experience the Blás na hEireann badge stands out to customers and helps to clearly differentiate our products, since winning the awards we have seen a definite increase in sales and it has opened a number of doors that had previously been locked shut! I believe customers realise that it is a true mark of quality that guarantees that the winning products have come out on top of an intense national competition, which verify an exclusive seal of approval based upon great taste and quality and not baseless marketing speak. As a first time entrant into the awards I was stunned and delighted to be given a gold award for our beetroot chutney. It has helped sell more of the product and has given me loads to talk about when meeting customers in the market. It also certainly helps when asking retailers to stock our products. Lastly but not least it has given us the confidence to expand our range. The actual day down in dingle was great, a fantastic buzz around the town, and what a range of products to see, and taste, I will for sure be entering some of our stuff this year, fingers crossed. To be honest with you I don’t know if The Cake Stand would be celebrating its Fourth Birthday if it weren’t for the awards. It’s one thing knowing that you have an outstanding product, but it’s another thing entirely spreading that word. I am certain that the Blas na hEireann awards has introduced my macarons and treats to foodies far and wide. It’s those beautiful gold and silver stickers that adorn my macaron boxes that tell people they are buying an award-winning Irish product. And it’s those stickers and awards that keep me going knowing that I have a great product. I love going to Dingle every year and meeting with friends and fellow entrepreneurs, brain storming and catching up on our years progress. Winning both Gold and Bronze medals, in the cheddar category, at Blas na hEireann last year has certainly stood to us. The Blas na hEireann awards are very well regarded both in Ireland and abroad. The cheese category, in particular, has stiff competition, Ireland is brimming with fantastic cheeses. We were delighted to receive two awards. They were a great selling point and certainly had a role to play in our recent listing at the Harrods Fromagerie. When retail buyers and chefs consider Irish cheeses they have an amazing range to choose from. An award will speak louder than a sales person ever can. It’s independent verification that you are doing something right! We are greatly looking forward to the Blas na hEireann awards 2013. 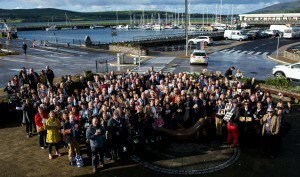 The awards are growing from strength to strength and we were delighted to take part last year. It meant so much to win gold and silver that we will be entering the 2013 one with new products. When talking to the buyers of the major food stores we noticed we had their full attention to our selling points when the Blas na hEireann was mentioned. We had a fantastic year since achieving Silver at Blas na hEireann for our Sweet Chilli Mayo. We have got listed to two top multiples nationwide for our full range of flavoured mayos. The brand recognition that we achieved was amazing because our product carried the Blas na hEireann Logo. Customers are aware of the standard of quality products and this helped our range to achievable heights that we didn’t envisage. Here at Bryan Lynch Finest Salads we take great pride in associating our product with Blas na hEireann and look forward to achieving more success with these fantastic awards. 2013 so far has been incredible for us and we are only four months into the year. The old saying “Cream Always Rises To The Top” is the case with our product carrying the Blas na hEireann logo. As we were less than a year in business at the time, winning two awards at Blas na hEireann was unexpected and an exciting achievement for us. The immediate effect was a 30% increase in our sales at Tralee Farmer’s Market and we now have a constant group of regular loyal customers. It also gave us the confidence to increase our product range and we now produce a Smoked Salmon & Champagne Pâté and a Smoked Mackerel Pâté and our newest product is our Traditional Meat Loaf which is proving to be another popular choice. Winning the awards and the resulting exposure brought enquiries and invitations from Food Festivals and Fairs countrywide. The one that comes to mind is ‘Taste Dublin’. However as we are young in the food business we decided “not to run before we could walk” but to take time to progress. Prior to winning our awards in Dingle we looked on Skellig Pantry as a “HOBBY” but now it has become a business in the real sense of the word and our plan is that before the end of the 2013 season, Skellig Pantry will be firmly marked on the Food Producers Map. This year as well as our regular Markets, we look forward to attending Festivals such as Macroom, Mallow, Kenmare, Listowel and Dingle and other food events that present. Another big plus was the media attention we received, most notably a feature in the Irish Examiner. Because of these experiences we have encouraged other food producers to take part in these awards as we believe that they play a major role in the Food Strategy Nationwide. “Since winning the awards Unas Pies has gone from strength to strength. For the past 6 months I have been working on product development for a launch into the retail sector. This has been a challenging time for Unas Pies, as quality is paramount. Maintaining the highest of standards and increasing production levels are always challenging. The Blas na hEireann awards are highly sought after in the food industry and this has meant that I have made very valuable contacts with potential buyers. Without the awards these contacts would have been harder to make. The Blas na hEireann awards have opened the doors that will lead Unas Pies to the next stage in its journey. Blas na hEireann and the title of Supreme Champion 2012 have made it possible for a small producer like myself to think big. Promoting high quality Irish food with the backing and recognition for all at Blas is an honour and drives Unas Pies even further to maintain and constantly improve standards. We won two medals in the soup category for two years in a row – the cumulative effect has contributed to these soups now being our best sellers. We have been accepted into several SV stores, in part due to our award winning range. This year we have sought and achieved local listings with Dunnes, SQ and Tesco: winning the Blas na hEireann awards was a core part of our presentations to each client, and I have no doubt these awards helped us secure all of the listings. I personally do in store tastings on a very regular basis and new customers more often than not tend to choose the product varieties that have award stickers displayed – the stickers are definitely positively received. In 2009 The McCarthys were thrilled to be the highest placed Black Pudding entrant in the Blas na Eireann Awards. They have received international awards for their black pudding, but there is something special about receiving an award on your own turf, especially in ireland where the standard of competition in black pudding is so high. After stickering the product a couple of months after gaining the award we saw substantial double digit growth of the award winning products. We therefore advertised the products more to show we had received this award which leads to more people coming into the stores. In the inaugural year of the Blas na hEireann awards 2008 , The Foods of Athenry came away with 3 awards . In 2009 – 4 . Because of the high level of interest nationally in the Irish Food Awards, featuring well has brought us to the attention of customers and opened some doors , where potentially we may have had to have knocked for considerably longer ! Winning the awards has given us the confidence to go further afield with the products as it is fantastic to have independent affirmation of what we already felt to be true – that we had great tasting products . ! We are delighted to have won 2 GOLD medals at the 2009 awards. It has enabled us to promote the 2 products within our range as award winning, both on pack and on shelf. As a staff development tool, it has been a great motivator for our NPD chefs, to excite them and encourage them to develop new tastes and dishes which will go on to hopefully winning more awards in the future! The award had a great psychological effect, because as it was a new product launch, we felt vindicated in the amount of development work that we had done to get the product market-ready. When going out with our new juice, the fact that it had just won an award was also a great help in accessing new customers.